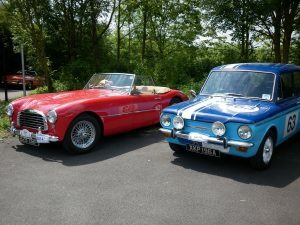 The clubs ACE classic tour is a well established event that each year attracts a mix of Classic, Kit, Sports and other interesting cars. The event takes entrants on a scenic tour of around 100 miles around Bristol using a simple to follow route book. There is no minimum age and any interesting car is welcome. It features a lunchtime stop at an interesting location and most entrants take along a picnic lunch. The event finishes at a country pub where we have a charity raffle and drivers get to vote for their favourite car of the day. Each year the tour raises money for a different local charity and tens of thousands of pounds have been donated to good causes since the event started.